After spending six months on the International Space Station, British ESA astronaut Tim Peake is back on Earth and you will have the opportunity to see him at New Scientist Live in September! 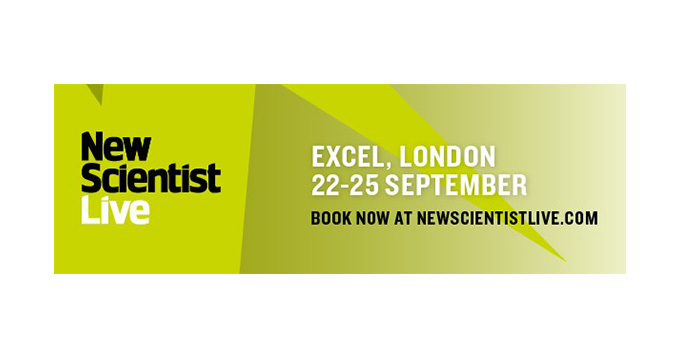 The inaugural New Scientist Live event, courtesy of the team behind the world’s most popular science weekly, is a four-day festival of ideas and discovery taking place at ExCeL London this September. Rooted in the biggest, best and most provocative science that touches all areas of human life, the show will feature four immersive zones covering Brain & Body, Technology, Earth and The Cosmos to showcase how science, technology and engineering drive our economy, shape our culture and improve our lives. On the opening day – Thursday 22 September – Tim will give his personal take on what it’s like to live and work in space, what excited him about the mission and what he enjoyed. The Science Council will also be exhibiting and as a proud partner of New Scientist Live we are offering an exclusive discounted rate on tickets* for you as a friend of the Science Council. If you want to use the Science Council’s offer code, tickets for Thursday or Friday at the show are just £20 (saving £9 per ticket on the door rate) and tickets for Saturday or Sunday at the show are just £22.50 (saving £6.50 per ticket on the door rate). Plus, kids 12 and under go free when accompanied by an adult. To book, quote SCOUNCIL16 on the booking page at www.newscientistlive.com or call 0844 581 1295. You can find Tim Peake on the Main Stage** at 11am on 22 September and at the ESA stand.